Word has begun circling that LG has plans to hook up with Huawei in order to boost its smartphone business, but LG says that's nonsense. One analyst told the Korea Times that the partnership is being considered, with LG keen to parley in order to "revive its smartphone business." 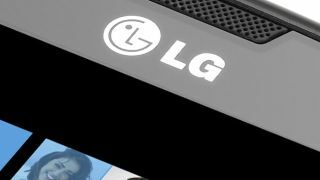 But LG has denied the claims, saying it is not pursuing a deal with the Chinese firm. The company says it has had "no discussion now or in the past with Huawei on any aspects of LG Electronics' business." It's unusual for a company to come out and deny a rumour so forcefully - we're more used to hearing the go-to PR line that they do not comment on speculation. That's not to say that LG doesn't think it's got a bit of a smartphone problem. A spokesperson told the Korea Times, "Gaps in our smartphone portfolios used to be one of the biggest problems that prevented us from succeeding in the market for the past few years. "But this problem has been fixed. Attention is being shifted to how we see an external growth in handsets." That "problem" was fixed by a number of launches over the past year, with the LG G2 flagship handset grabbing plenty of critical acclaim - but whether those good reviews will translate into good sales is another matter.